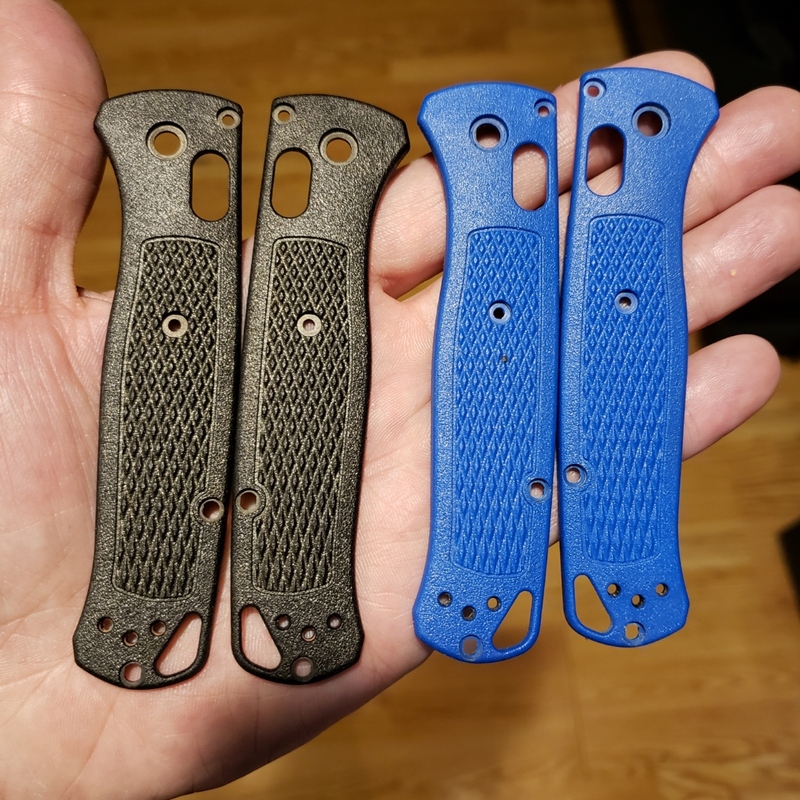 Bugout 535 blue to black scales RIT dye ? Discussion in 'Benchmade Knife Company' started by Jpd0144, Jan 26, 2018. Perfectly! I have carried them a pretty good amount. It would take a deep scratch to show through. Best part is you can always redye if need be down the road. Good luck with your venture and post pics when done ! I like the blue scales because I often put my knives down in the forest, but the black dye job looks really good! I think I'm going to buy a Bugout in a few days, depending on how it feels in-hand... this really has to stop. No wear at all on mine either. Look just as good as the day they were done. I’m sure someone out there has Mike. Personally I’ve only done the blue to black / and now the green to black. I'm sure its had to choose, but I'm trying to decide which to get and dye, as I'm not too keen on the blue or ranger green, but which one would you recommend? Cajun ingenuity at it's finest! Got a blue one on the way & I think I'll be trying for a aqua blue, call it Ocean Rougarou. I dyed mine several months ago and carry it everyday. Still look as good as the day they were done.